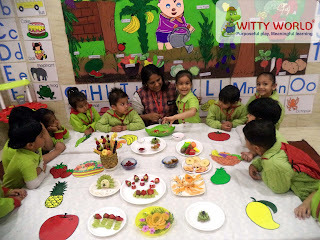 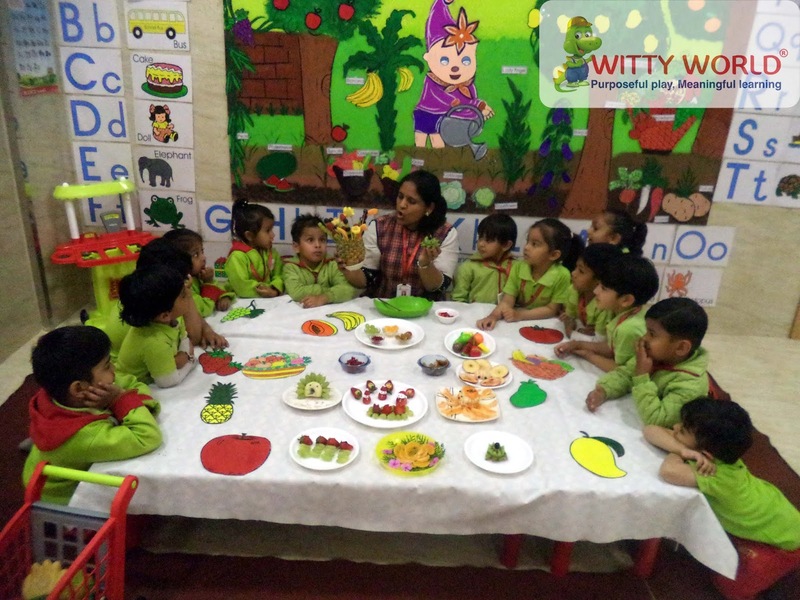 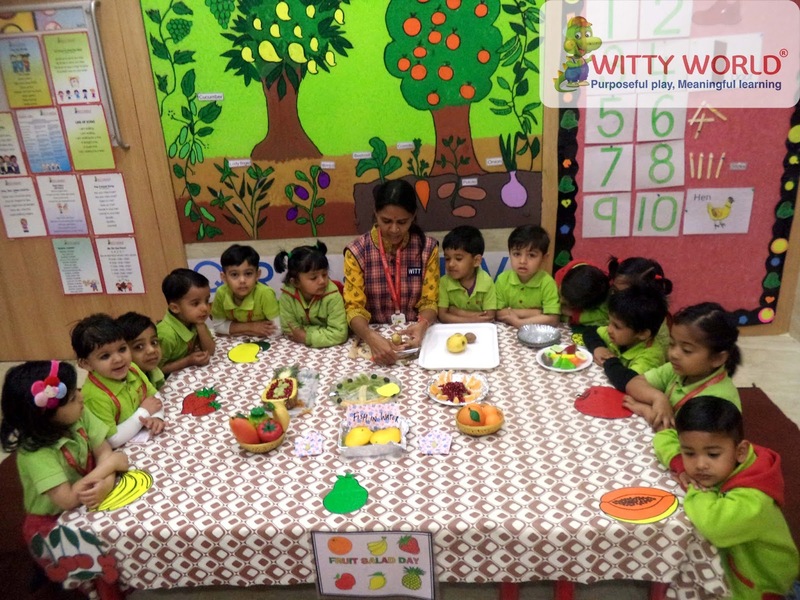 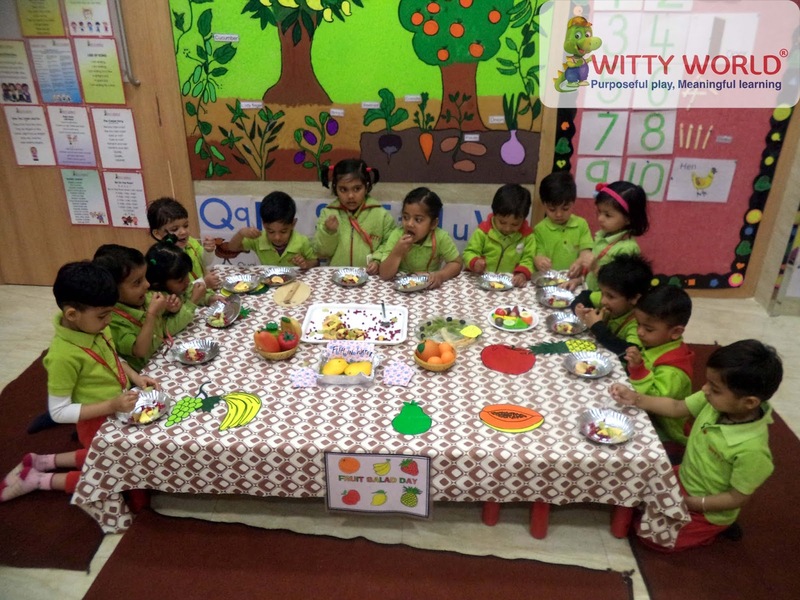 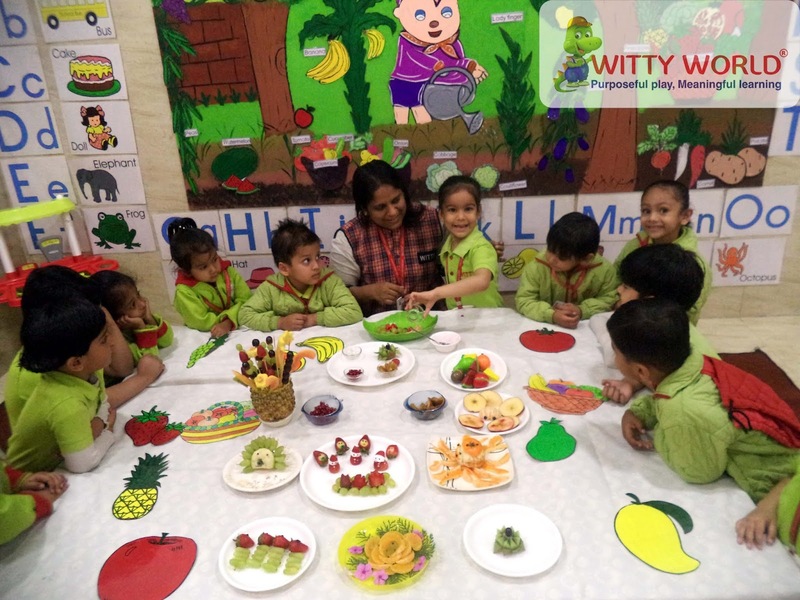 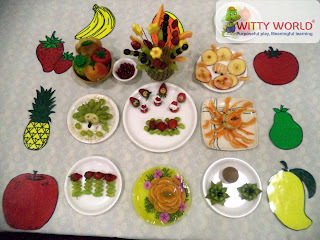 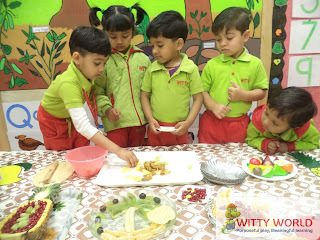 Children of Nursery section at Witty World, Bhilwara learned about fruits this month. 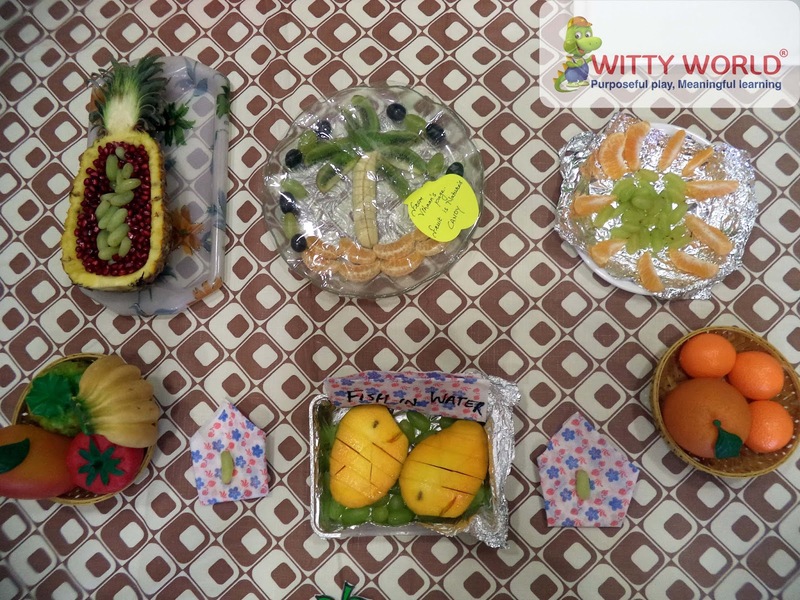 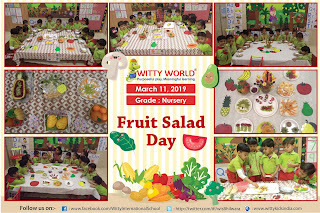 To reinforce the concept, a “Fruit Salad Day” was organized for our little Wittians on Monday, March 11’ 2019. 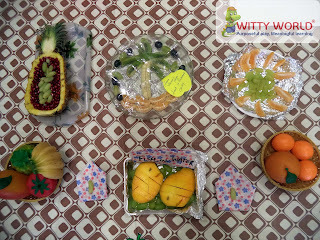 Children brought a variety of fruits in their tiffin. With the help of teachers, children made a healthy fruit salad by mixing different fruits such as apples, bananas, oranges, pineapples and pears. Teachers explained the importance of eating fruit to remain strong and healthy. 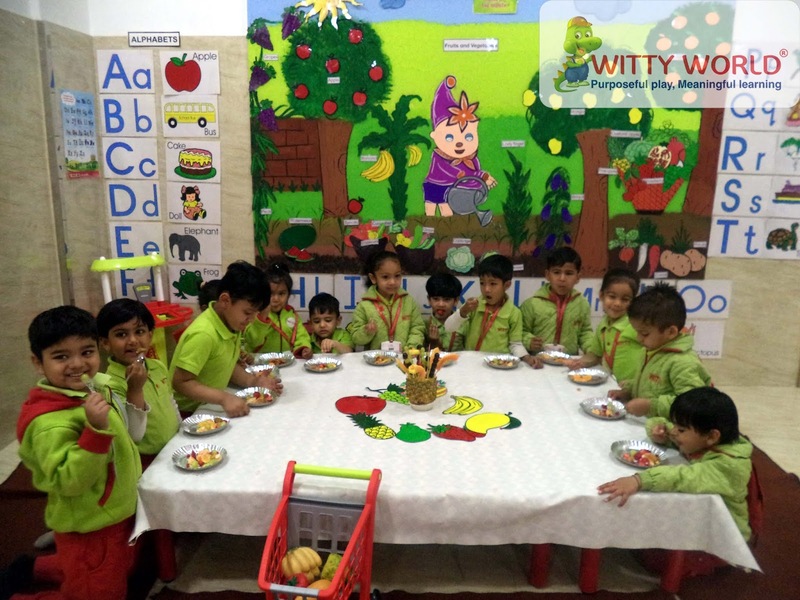 Children thoroughly enjoyed the wholesome censorial experience of creating a colourful fruity delight and learned its importance too.